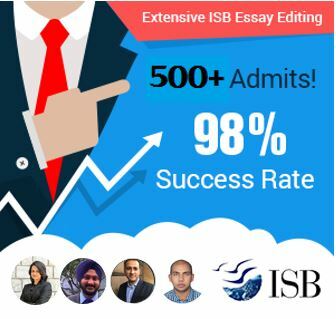 Almost every student (certainly most international students) applying for an international MBA program hopes to get MBA Scholarships in one form or the other. Yet, the criteria and the overall parameters used for awarding these scholarships remain less transparent than overall admissions criteria. Schools claim to offer scholarships to the most ‘meritorious’ of students without specifying exactly which factors go into constituting this merit. Sure, GPA and GMAT count, but not everyone with a high GMAT score or a great GPA gets a scholarship. How can people at the pre-application stage then try and maximize their chances for getting a scholarship? GyanOne offers a brief guide to the best practices. This might come us a surprise to some applicants, but the ranking of a school is not necessarily correlated with the decision to award scholarships at the school. Therefore, the chances for getting a scholarship do not automatically increase by applying to a lower ranked school. P&Q has published a table with relative ranking of top US programs with respect to scholarship. An example from this should help to clarify this point. The University of Washington’s Foster School of Business, which most rankings would place a tad below Rice University’s Jones School of Business, offers scholarships to 47% of its enrolled MBA students. Rice Jones, on the other hand, provides one to a whopping 94% of enrolled students. For someone who is accomplished enough to hope to be admitted to both schools, however, Rice may be a better choice based just on the chance of getting a scholarship – and for a higher amount too. Rice Jones’ total fund for giving out scholarships ($6.7 million) is after all more than five times that of Washington Foster ($1.3 million). True, someone with a 4.0 GPA and a GMAT score of 740 may get scholarships at both schools, but the chance and the amount are both likely to be higher at Rice Jones. What key factors go into deciding on scholarships? Some of the ones that are obvious include the GMAT and the GPA. Note the ‘and’ there. Many with a high GMAT score (97th+ percentile) feel entitled to scholarships, but their chances can quickly dwindle if they have lower than average GPAs. Coming in from an over-represented industry (e.g. Information Technology) or ethnicity (Asian) can hurt international students too, though there is of course nothing they can do about that. Beyond the industry and role you come from though, the X factor in your profile can matter. Sure, you may work for an IT major like thousands of others MBA applicants, but if you have served automotive clients in Germany, Pharma majors in the UK, and shipping firms in Singapore, your experience is a lot deeper and richer. That matters. Similarly, if you belong to an under-represented minority (lady candidate from Africa, for example), that can help too. 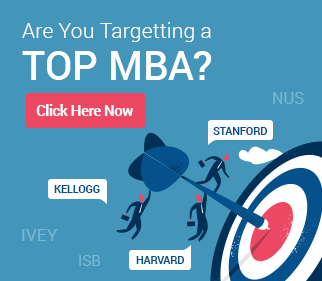 These factors are even strong enough to compensate for lower GMAT and GPAs too, because these candidates help business schools to fulfil their mission of creating a diverse and well-rounded class. A military veteran with a 650 GMAT, for instance, could be a much stronger candidate for a scholarship than a McKinsey consultant with a 740. Of course, apart from merit, schools also apply a need criteria for some scholarships. One aspect of such scholarships that is often not obvious is that need-based scholarships are also based on merit. Granted that people who get such a scholarship have demonstrated financial need, but they too are selected from a larger pool in term of who gets that scholarship. Just demonstrating need will not attract a need-based scholarship – demonstrating merit that is strong enough to attract that scholarship (apart from showcasing financial need) will. Keep in mind that hailing from a developing country or not having enough savings are generally not accepted as valid reasons to attract a need-based scholarship. GyanOne works with hundreds of clients every year, many of whom win outstanding scholarships to top MBA programs. Brief profiles of some applicants are noted here. – Ishan Agnihotri won a $40,000 scholarship from Cornell Johnson. He brought in an outstanding GMAT score, very strong essays and a clear statement of career goals. Ishan had a background in infrastructure consulting, with overall experience of around 5 years. Ishan also received admits from other top US schools with scholarship while working with GyanOne. – Rajan Seth won a full scholarship (100% scholarship, ~US$120,000) from Kenan-Flagler business school. He too had an excellent GMAT score and is an IIT graduate with around four years of overall professional experience. Rajan worked with GyanOne on multiple schools and ultimately chose Kenan-Flagler. – Varun Magoon gained an admit to CUHK in Hong Kong with a HK$140,000 scholarship in spite of the fact that his GMAT score was sub-700. 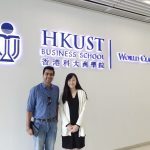 Varun was specifically interested in Asian programs and worked with GyanOne only on his CUHK application. He will be attending CUHK starting 2015. – Prashant Jain received a scholarship of $20,000 from Richard Ivey School of Business in Canada. Prashant has an IT background (considered over-represented by many) and a sub-700 GMAT score. Again, clearly enunciating his post-MBA goals, expressing his abilities and skills clearly, and creating a strong connect with Ivey were key elements that helped Prashant win this scholarship. This does away with another myth – that one needs only a very high GMAT score to win a scholarship. This may sound like a cliche, but as in Admissions, it is the overall package that counts when it comes to scholarships too, as explained above. Thanks for sharing the scholarship info..helped a lot..I am also a student aspiring for Higher studies in Germany and looking for scholarships,hence i visited many sites including this,and gained a lot of knowledge. Thanks once again.